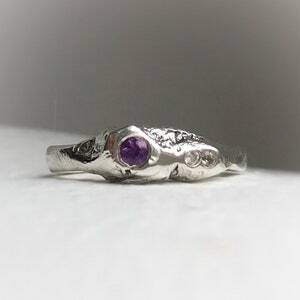 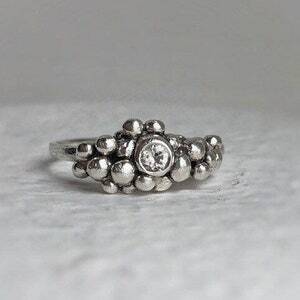 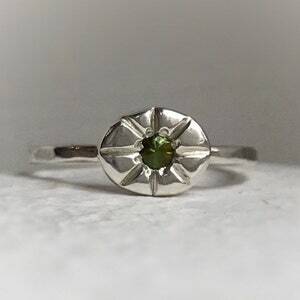 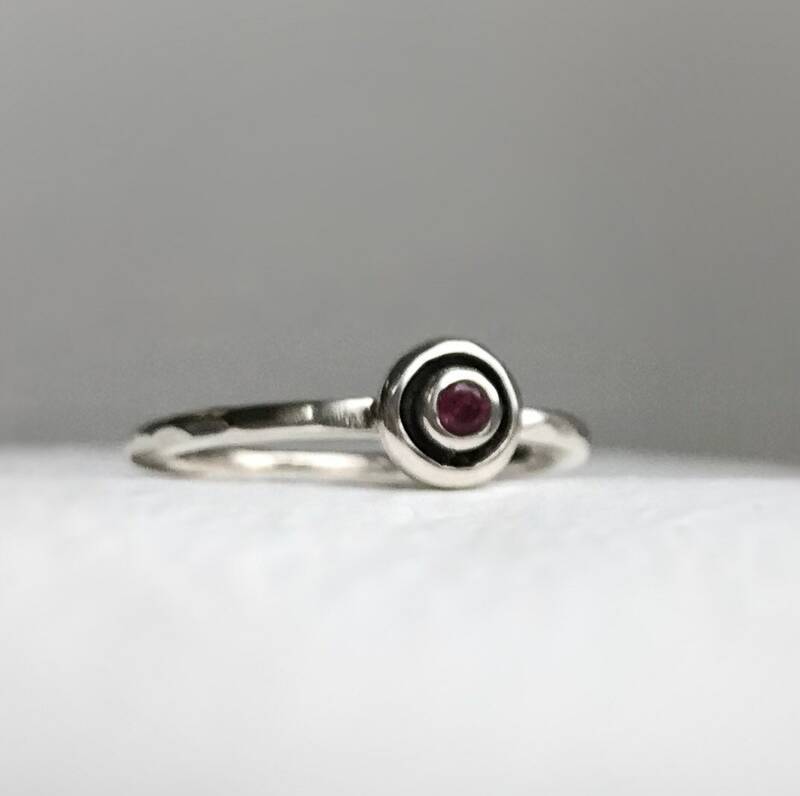 Sterling silver gemstone ring -Handcrafted Bubble ring using recycled sterling silver. 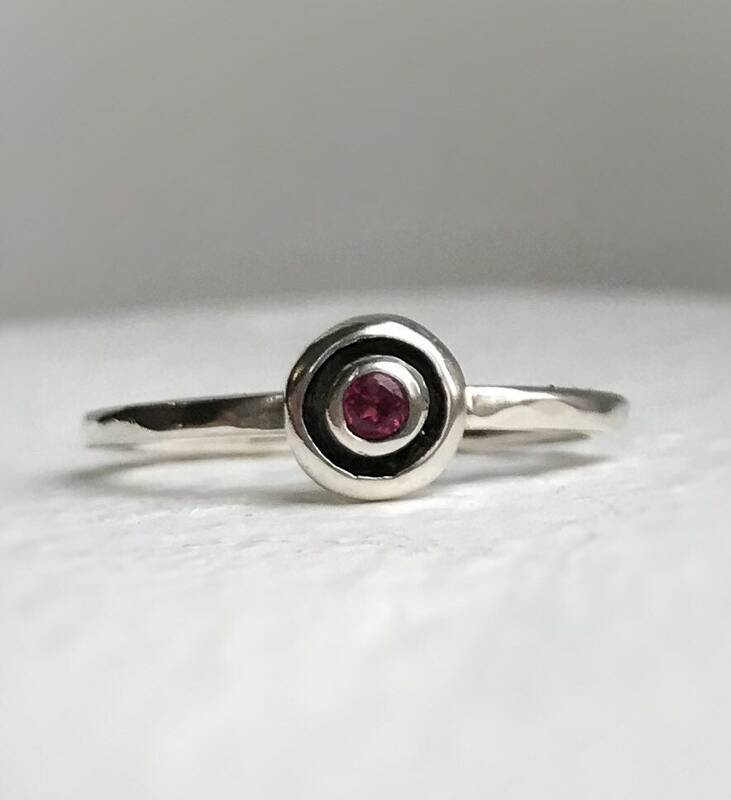 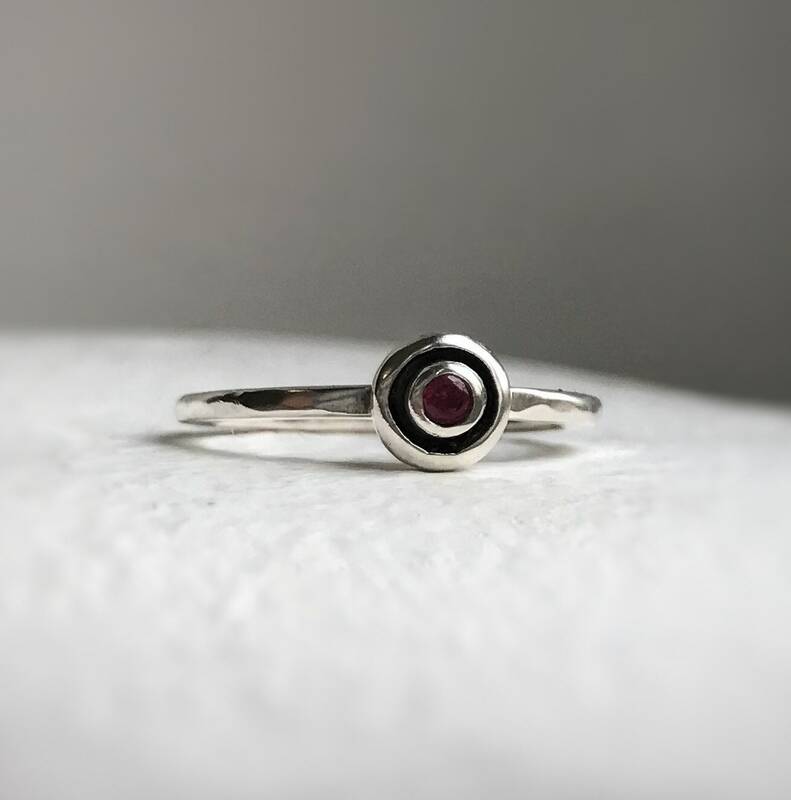 2.5mm Rhodolite garnet natural gemstone set into ring. 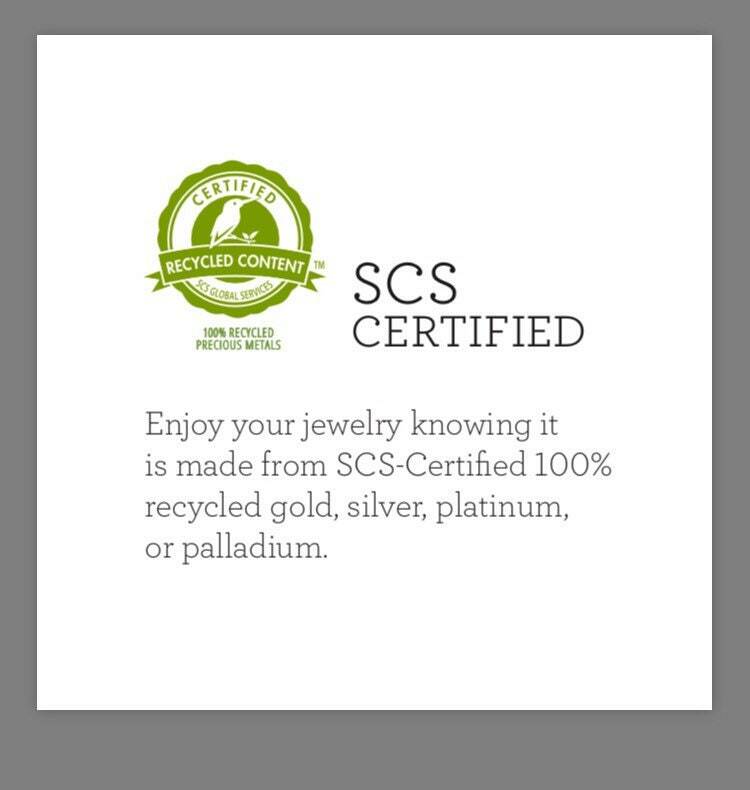 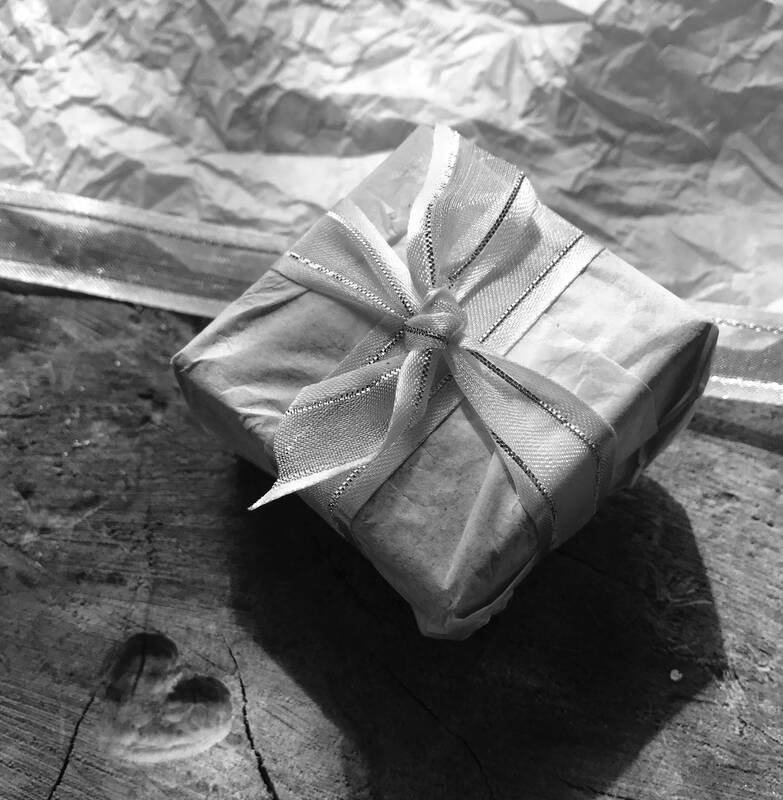 Ready to ship please allow 2-3 business days for processing before shipment. 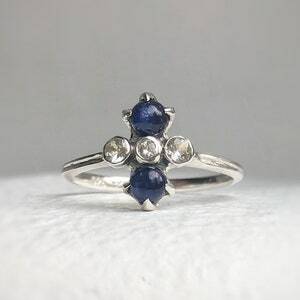 Skyla - Blue sapphire ring, white sapphire ring, cocktail ring, something blue, dainty silver ring.